The weekend was warm… sunshiny… & extremely productive! 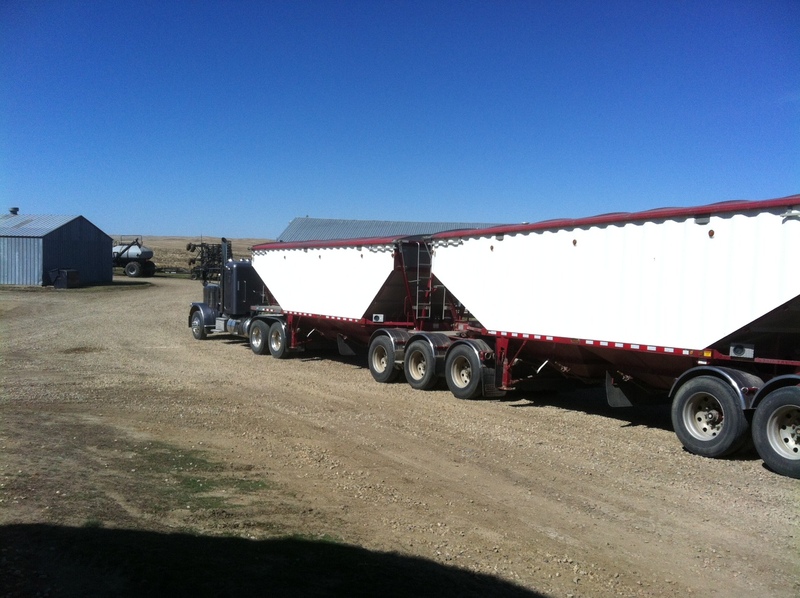 I am happy to say everyone is now in the field… dust flying behind them (literally… its been Sooooo Windy! )… air drills a rocking… & dusty faces! There is nothing better then starting another year in the field. It always takes time to get things all lined out… but once things get rolling there is nothing but smiles. This weekend I was busy working with my family.. it was so fun having it be the 4 of us… Ma, Pa, Bro & Me! 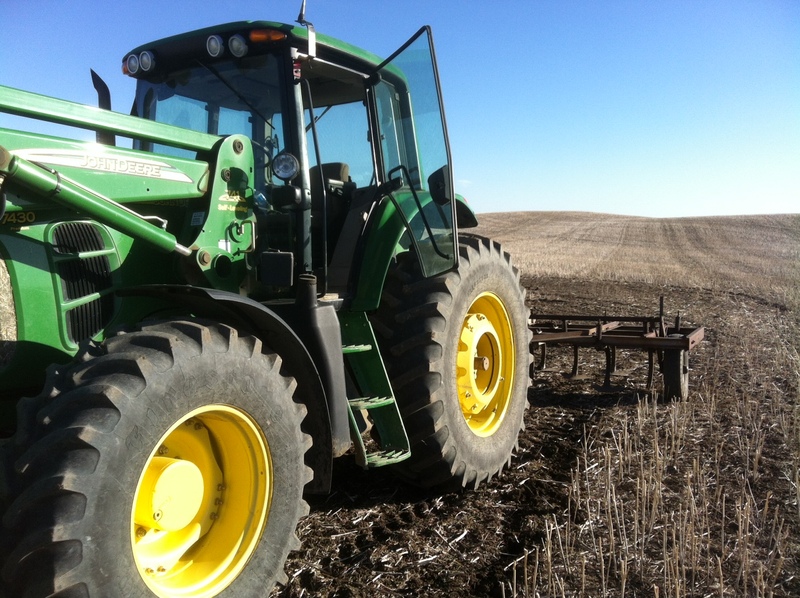 Farming now & days is a lot more complicated then it used to be… There is so much technology. Which when its working.. its absolutely great! But when its not it can be a HUGE hold up.. when all you want to do it put seed in the ground. However that’s just the way things go & in order to continue to be successful, competitive & to provide the best that you can for your family & your business.. you have to try your best to keep up with things. In the end you are still doing as your granddads did, your growing the same crops, your in the dusty fields, & despite all the technology your still in the tractor pulling a drill planting some seeds, & there is nothing better! 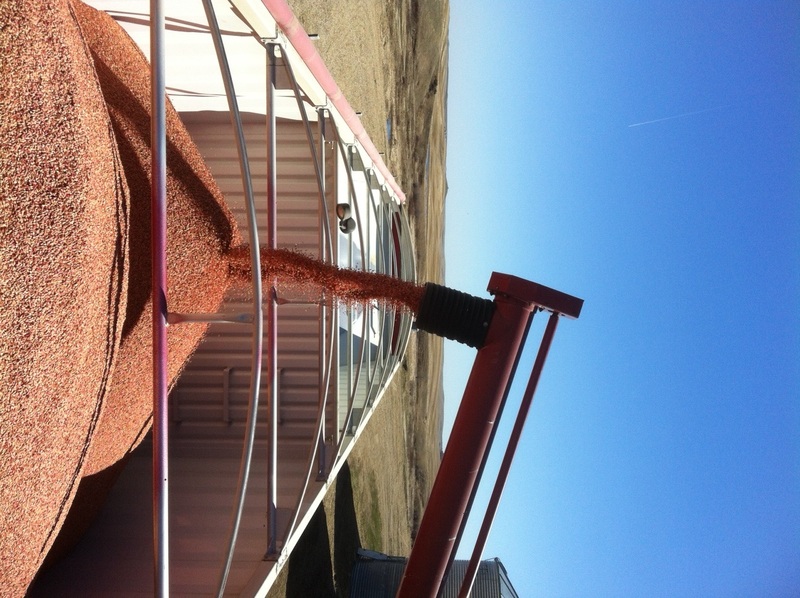 Yesterday we started our barley. After a few calibrations & calculations we got in the field. As we watched my bro do a few passes… we then went out to check depth. Dad showed me his technique… “first you push the sides away of the furrow to make some room.. then you scratch away to find the seed. Once you find the seed you put your finger there, then you push the dirt back in place. & where the dirt is on your finger is how deep it is.” I looked & said “Okay… so we want it to be as deep as your first knuckle on your long finger..?” (when dad was a toddler he found himself sticking his finger in the furnace fan… So his one pointer finger is slightly shorter then the other… not bad but still short enough that when we got in trouble & dad was pointing his finger at us we couldn’t help but laugh!) It’s nice to get a few laughs in during an excitable, somewhat stressful time. Everyone gets worn out not only from working long hard hours, but from constantly thinking, calculating, making sure your putting enough seed on, making sure you have enough fertilizer home, making sure, double checking.. everything always! So its nice to relax a touch, laugh & smile… it only makes things easier. So once I got the depth down… we did a lot of digging… of course the ground is different in different spots.. harder.. softer… dryer.. wetter… But in the end we figured things to be just right! The seeds were lying anywhere from the first knuckle to halfway between the next. Perfect! I was also busy cultivating some washouts up to make them even & easier on the equipment to get through. The thing I love about farmers, is that even doing the same job so to speak…everyone has their own technique that works the best for them… others may not agree on the technique… but that doesn’t really matter. In the end you aren’t farming your neighbors field just as they aren’t the ones farming yours. Plus… everyone has a method to their madness.